Social will be different - black, white, red, now offer a couple of sets of three-dimensional images for your social sites. Of course, 3D icons for each suit is not the layout or template, but sometimes they can add some original touches overall design of the project. The following three-dimensional social icons are displayed (displayed) at different angles and with different effects, so I'm sure everyone will find something for work or recharge personal collection. By tradition, all 3D icons can tell on the link or on-site sources, the designers from which more than thank you for the development. 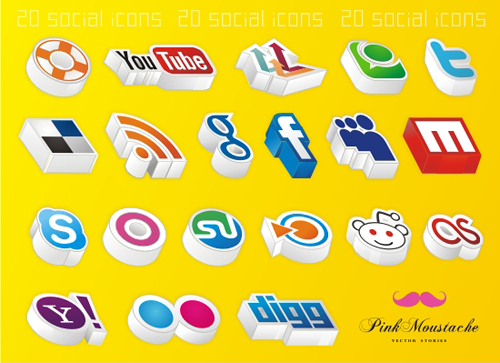 The set includes isometric icons of popular social services (31 services). A choice of four sizes: 32, 64, 128 and 256 px. Moreover, it should be noted that the collection Isometric 3D Social Icons Set are not just icons, but full rollovers (which is why the archive is not only png files, and html). Three-dimensional set of creative icons created to Tutorial9, can be used for personal or commercial projects. The archive includes the most popular services - Digg, YouTube, Technorati , Flickr, Twitter and others - a total of 20 different icons. Another very original set of 3D icons from another angle. Each logo is made without the "substrate", which may be useful in different situations. Transparent icons in PNG format size 64 × 64 and 128 × 128 pixels. 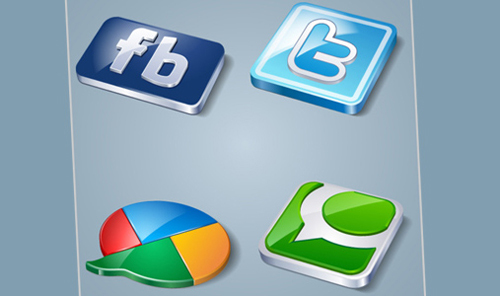 They look, in my opinion, very nice, are the most popular social networking services. Another set was created exclusively for readers one of the design blogs. 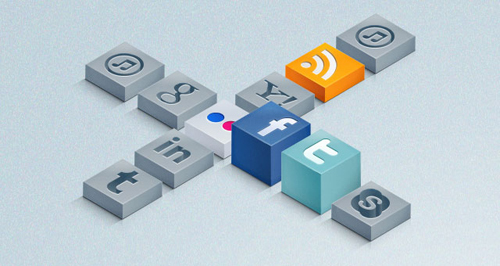 The main feature of 3D icons is simplicity of execution, there is nothing superfluous. In the archive you will find 10 three-dimensional images to blogs, sites, etc. As you have probably realized from the title is also available vector sources (AI) files that can be used to resize images without losing quality. Also, for example, a set of PNG icons added to 256x256 pixels. For fans of the movie or the throne of the various "neon" sites set fits perfectly. The archive will find the file formats PNG, BMP, GIF, ICO and even vector AI. It is the largest collection of three-dimensional icons, which presents images in different ways - active and inactive, and there are sizes from 16 to 256 pixels. 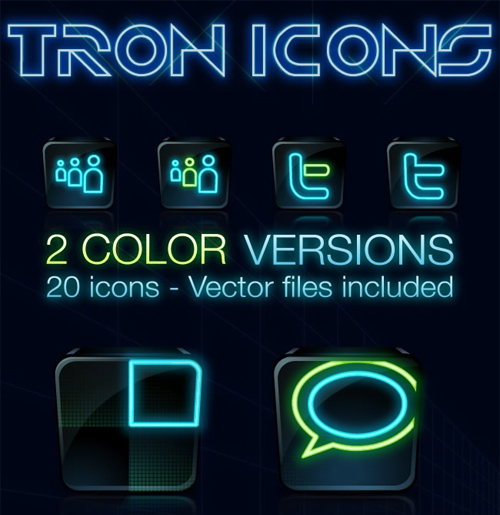 Very cool of performance (I would say the most stocked) archive of icons. The last of its kind, but not the implementation of a set - stylish three-dimensional social icons in the form of a "thin plates", contains 12 files in PNG format and size of 512 pixels. As you can see from the previews, the image looks very nice with a slight flare and rich, vivid colors. All the most popular sots.seti and services. 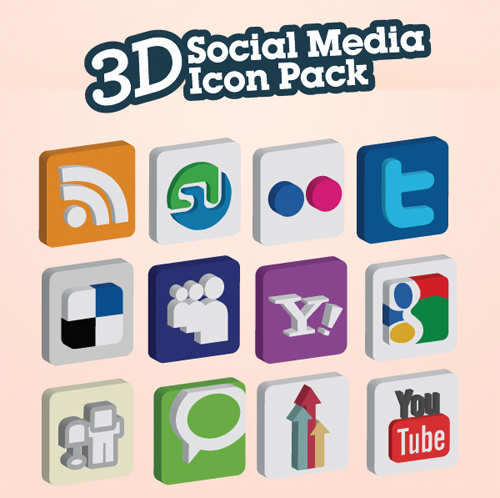 Of course, the three-dimensional social icons all quite specific, not every site will be used 3D images. Although in some cases, their use may add to a project of originality. In general, I think, experienced designers will find where to apply these six good sets.